TD Mick Wallace and Clare Daly arriving at Ennis Courthouse. Photograph by John Kelly. 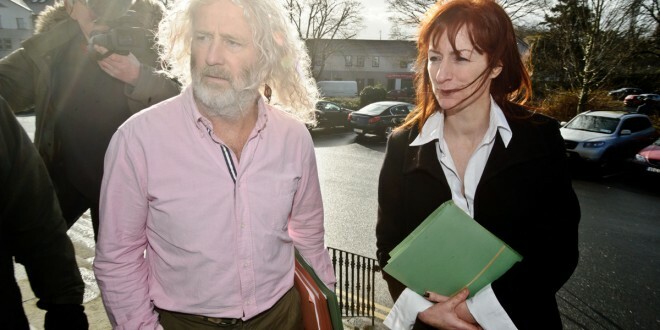 GUNS have routinely been carried through Shannon by the US military, it was claimed at Tuesday’s hearing into a case against TDs Mick Wallace and Clare Daly. Also at the hearing a former Irish army officer warned that missiles brought through the airport on one occasion could have resulted in it being blown up, along with much of the neighbouring industiral estate. Deputy Mick Wallace of Clontarf Road, Dublin 3 and Clare Daly of Elmwood Drive, Swords, Dublin are both accused of climbing a perimeter fence at Shannon Airport and entering a part of the airport to which they were not permitted on July 22 of last year, contrary to the Airport Byelaws of 1994. 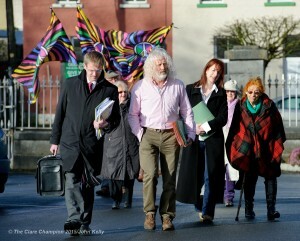 T.D’s Mick Wallace and Claire Daly arriving with supporters at Ennis courthouse on Tuesday morning. Photograph by John Kelly. While the case is being contested neither have denied that they did enter restricted parts of the airport by climbing a fence, indeed at one point in Tuesday’s sitting Mr Wallace jokingly asked for the return of a rope ladder which is said to have been used in the incident. Neither did they deny that they were among the individuals shown on CCTV footage recorded airside on the day in question. 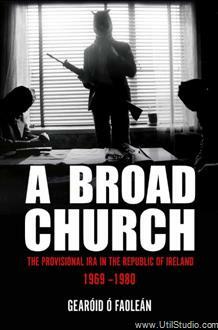 Instead their defence has focussed on their claims that the US of Shannon by the US military is a violation of Irish neutrality. Witnesses called by the defence have also criticised the lack of effective inspections on US planes, with a claim that relying on diplomatic assurances from America is “as useless as a chocolate teapot”. 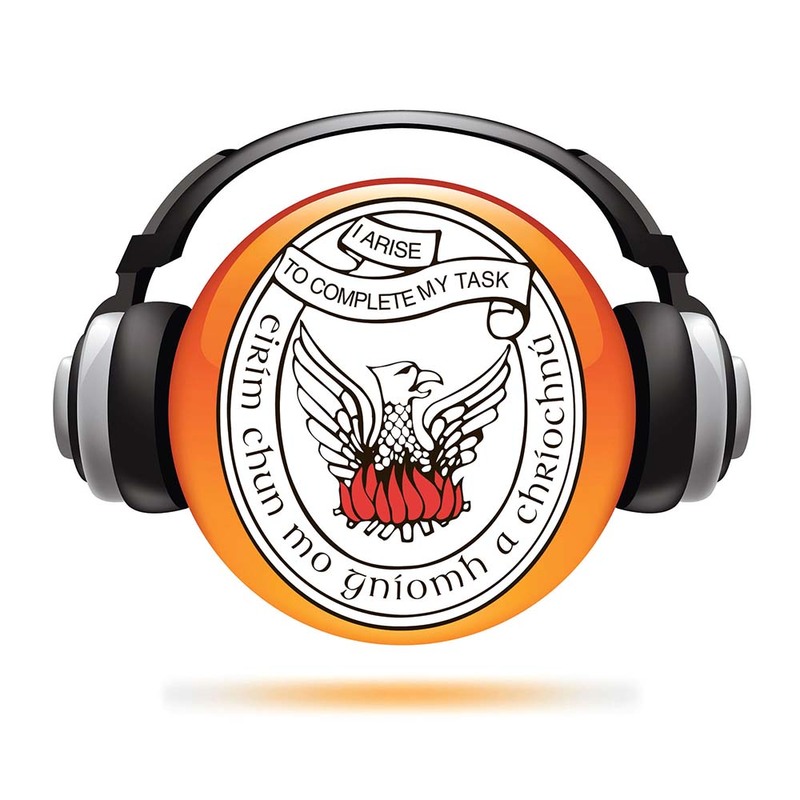 Ms Daly is being represented by Gareth Noble, while Mr Wallace is formally representing himself. Among the witnesses for the defence on Tuesday was Irish Times security analyst Tom Clonan who argued that as it stands Ireland cannot realistically be considered a neutral country. The case has been adjourned until March 10. 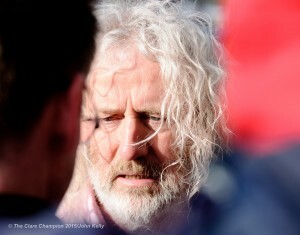 T.D Mick Wallace speaking to the media outside Ennis courthouse on Tuesday morning. Photograph by John Kelly.